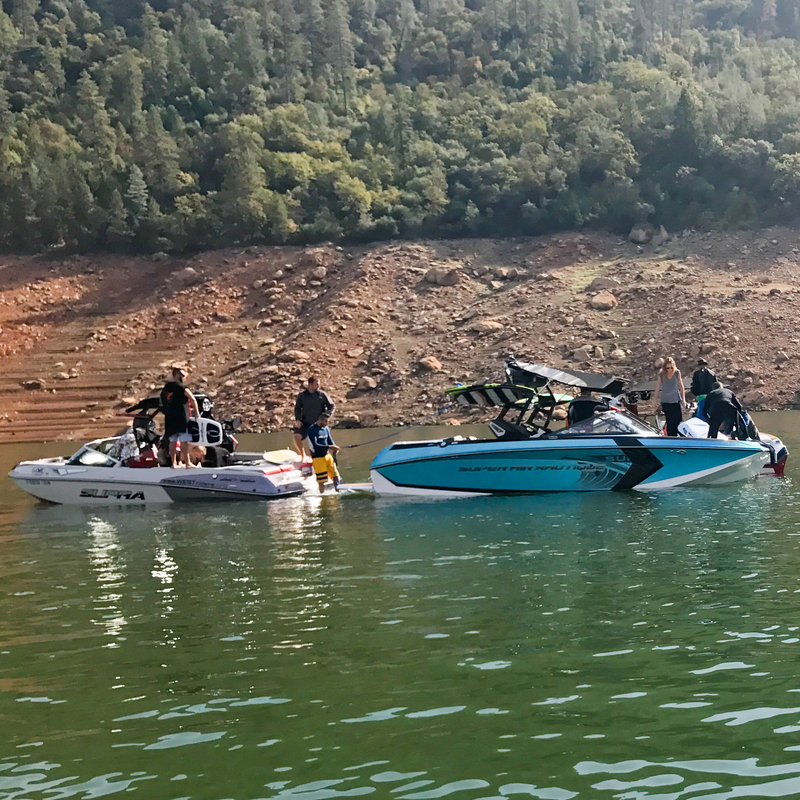 If you are registering multiple riders, make sure you are all regular or goofy and have the same preferences for the boats. If you are not, then just please add separate items to the cart with each preference. Registration for the Polar Bear event held at Lime Saddle Marina on October 12-14th. Your registration includes:3All of the surfing that you can handle on up to 8 amazing wakesurf machines. Breakfast (Coffee, Juice and Muffins) for October 13, 14. Bottled Water and Snacks available. Lunch and Dinner on the 14th, Lunch on the 15th. Please choose which boat you are most excited to demo. Choose your first preference, your second preference, etc. This is important so we can schedule your riding for maximum funnage. Are you a first timer? Don’t think about it, don’t be intimidated, just sign up. You will go from wakesurf newb to wakesurf fanatic in one weekend. You are welcome so don’t worry about not knowing anyone or not being any good. 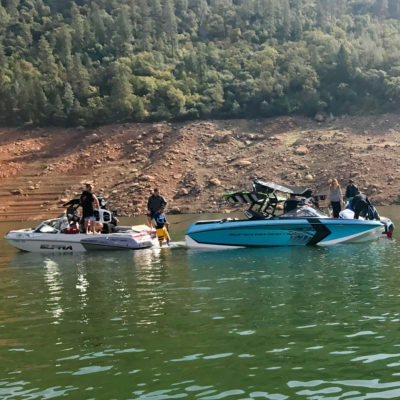 Wakesurfers are a chill group of people, especially those that attend wake9 events. Just bring a great attitude and some ben-gay for your legs. 😉 If you are a first timer you will get preferred status and early signup! All skill levels welcome, but you must be able to ride without the rope, there is no time to teach how to ride wireless. Sometime after you sign up we will be asking you to fill out a more thorough form telling us all about yourself and your ability and asking you for the information for every registration. So if you are purchasing 2 or more registrations, each participant will need to fill out a form and sign a release. It is very important that you meet these requirements. Please do not register if you can’t meet these requirements. Riders that have not attended before may be given preference if most of the riders are PB veterans. We have to give the opportunity for new riders to attend, other than that, it will all be based on the order registered. All riders will be required to fill out information on their skill, weight, etc. All riders will be required to fill in a comprehensive feedback form for every boat AND board that they experienced. This is what makes this event work. We call this a review by proxy. Many other riders will be watching online and find out what you think. You must be able to surf 8 15-20 minute sessions over 2 days. Its a buttload of surfing for most people. Riders will be grouped with similar riders and you gotta be willing to meet new people and have a good time. You may request to be together with someone else, but it may not happen, we will do our best. So many people, including myself, have made life long friends at this event. You can’t help it, when you are in a boat with the same people for so long. You must be able to attend and participate both days and surf til Sunday at 4pm. You cannot leave early and must surf all sessions, unless we go way off schedule. There are no exceptions to this rule. You must check in on Friday evening at the event, we don’t care how late, but you gotta check in on Friday evening. You may bring your own board, and one backpack or backpack sized bag and everything must fit in it. You must not be a first time rider. You don’t have to be a pro, but you must be able to throw in the rope and surf. You must fill out all forms as required in a timely manner. 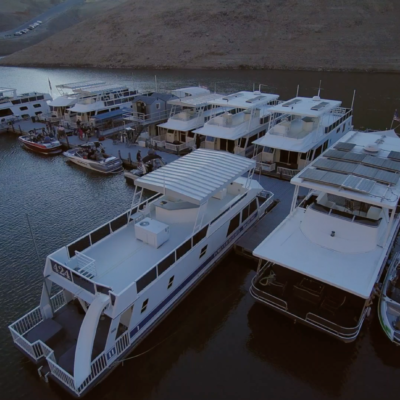 No refunds on event and houseboat unless we can fill your spot. Must be at the dock before 5pm on Friday for the houseboat shuttle. There will be one last pick up around 9pm, please contact [email protected] if you know you are going to be there after 5. For those not staying on houseboats, please check in on Friday and let us know you are in town. You must be at the houseboat docks by 8am Saturday morning. You can secure a houseboat room for the event, click here.